This 2015 Dodge RAM 1500 is for sale in Centennial CO. This '15 RAM 1500 comes with Heated Front Seats, Satellite Radio, Premium Sound System, Power Driver Seat, Keyless Entry, Bluetooth Connection and more! Call us at 303.636.9000 to set up an appointment to see this car. Visit us at www.coautofinders.com or stop by 12351 E. Arapahoe Rd Centennial, CO 80112 to see the 200+ cars we have! 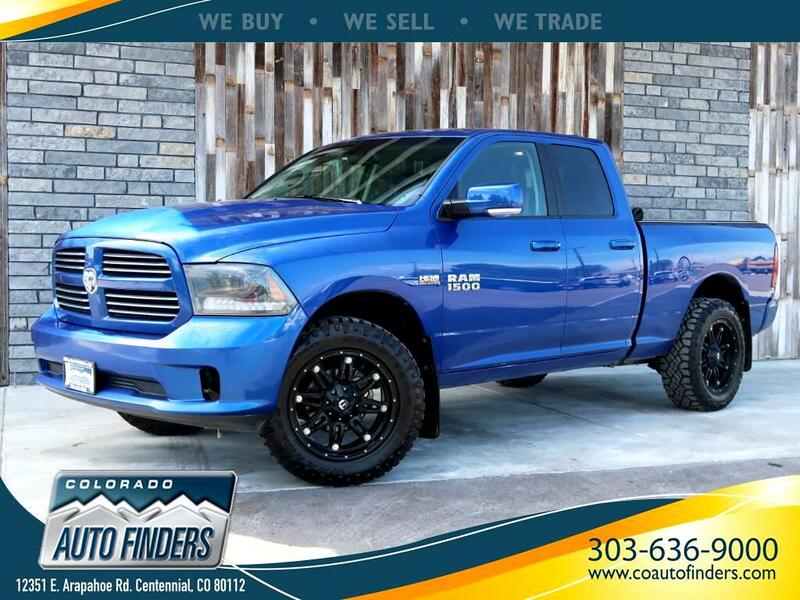 Used trucks for sale in Centennial CO.
used RAM for sale in Centennial CO.